The contract talks began on April 1 and didn't end until 11 a.m. on Friday. BART's largest labor union will vote Thursday on a tentative contract agreement with management but voting by other unions won't be completed until next Tuesday. Spokesman Carlos Rivera of Service Employees International Union Local 1021, which represents about 1,500 mechanics, custodians, safety inspectors and clerical employees, said members will vote from 8 a.m. to 7 p.m. Thursday at the Marriott Hotel in downtown Oakland. Jesse Hunt, the president of BART's second-largest union, Amalgamated Transit Union Local 1555, which represents about 900 train operators, station agents and power workers, said his members may not vote on the contract until next Monday, although it's still possible they could vote before the end of this week. Hunt said ATU Local 1555 leaders are meeting with management negotiators Tuesday evening to go over language in the contract and if the meeting goes well the union might be ready to vote at the end of this week. Jean Hamilton, the president of American Federation of Local, State and Municipal Employees Union Local 3993, which represents about 200 middle managers, said her members will vote at three meetings at the Kaiser Center in Oakland next Tuesday. Hamilton said the union's leaders are recommending that members approve the contract because they believe it is "very decent for these economic times and we did a very good job representing our members' needs." 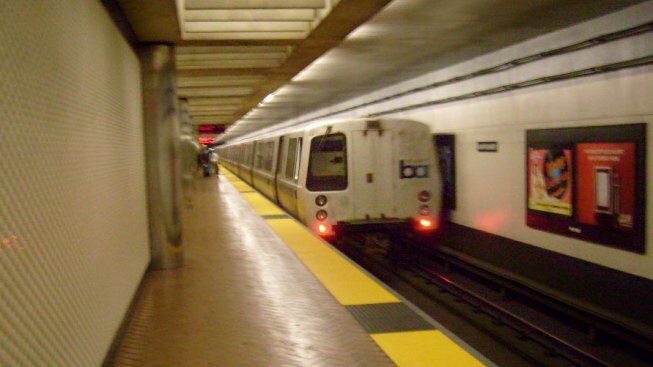 BART spokesman Linton Johnson said the transit agency's board of directors will vote on the agreement at some point later this month if the three unions all approve it. The contract talks began on April 1 and didn't end until 11 a.m. on Friday, when negotiators announced that they had reached a tentative agreement after a marathon bargaining session that lasted 27 hours.